Pen Velo Racing/Summit Bicycles » New Kit for 2017! December 16, 2016 | Posted in news | Comments Off on New Kit for 2017! Pen Velo will be sporting a brand new uniform from a new sponsor in 2017! We are excited to have Castelli as our official uniform suppler for the coming season. 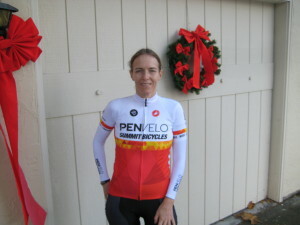 The new, brightly colored kits should be very easy to spot on the local roads and trails. Santa came early with the first shipment of the new kits, just in time for the holidays! Brand new kit for 2017!